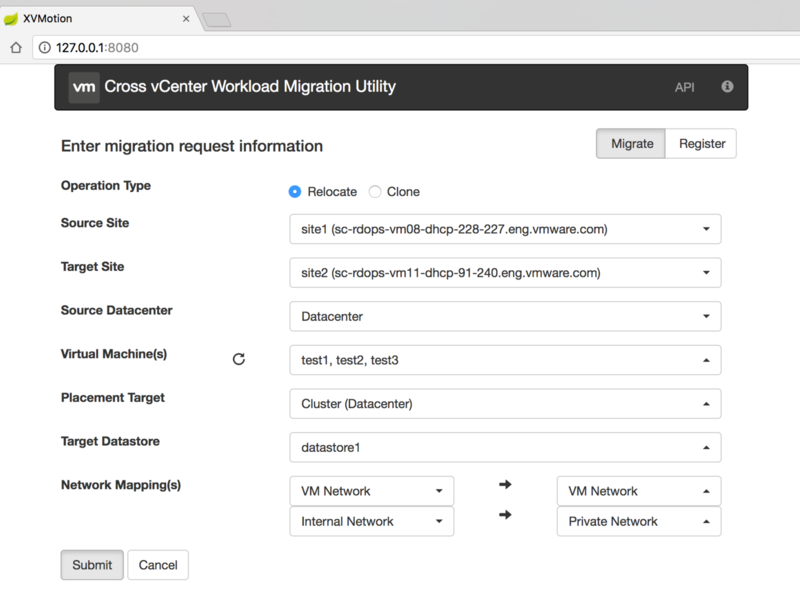 Also see: Bulk VM Migration using new Cross vCenter Workload Migration vMotion Utility Fling. After a restart of the utility, enter password and re-establish connection for previously registered sites. Application logs are stored in xvm.log file. Site connection details (excluding password) are stored in xvm.dat file on disk. SSL keys for vCenter servers are stored in xvm.ks keystore file. The app stores migration task state in memory, implying a restart of the app loses information about migration tasks. Duplicate object names (networks, vms) in the same datacenter can cause the inventory to not display properly and the utility to misbehave. Known issue: in case of duplicate network names within a datacenter (a pair of a standard switch and distributed switch networks), the DVS network is selected for migration tasks.